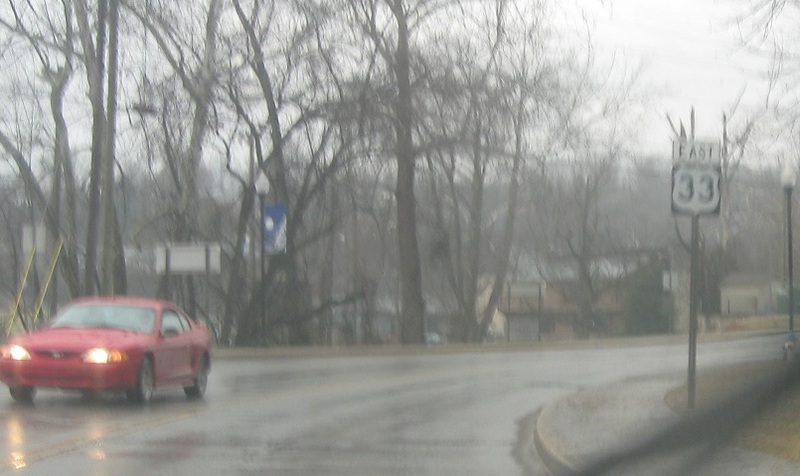 Reassurance shield after the WV 14 junction. A few blocks later, in downtown Spencer, we’ll approach US-119. Turn right for US-119 south. 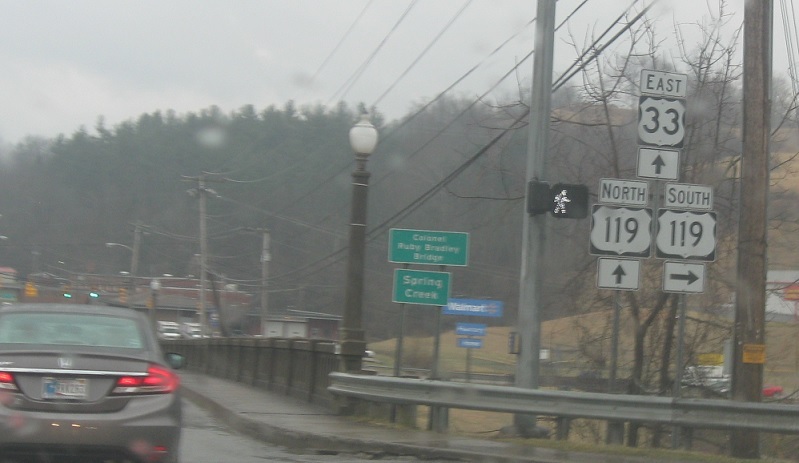 US-119 north joins US-33 east all the way to Buckhannon.